Tyumen, the first Russian settlement in Siberia, lies 2,500km (1,600 mi) east of Moscow and behind the Ural Mountains. The Tyumen Oblast (region) has seen significant economic growth over the past twenty years, fuelled by the discovery and exploitation of significant oil fields. Tyumen is also an educational centre, with more than forty thousand students. 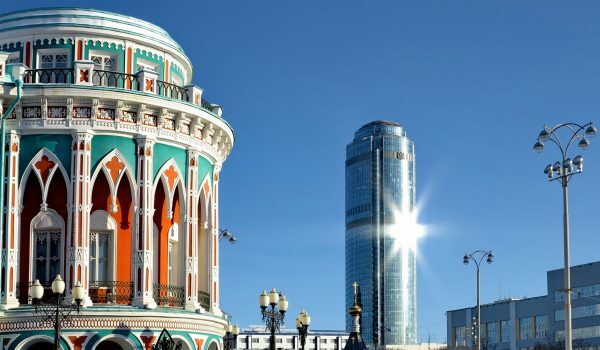 Being a major transportation point to Eastern Siberia and the Russian Far East, Tyumen has experienced all major historical events in Russia. It has seen the Decembrists on their way to exile in Irkutsk, Tsar Nicholas II and his family to their final destination of Ekaterinburg, Revolution turmoil, Civil War, bloody uprisings against the new Bolshevik food policy (prodrazverstka), Gulag prisoners, and more. Many famous people were born or studied in Tyumen. Among them is the famous writer M. M. Prishvin. His essays about nature are filled with harmony and the art of words. One resident was the most controversial figure in Russian history – Grigory Rasputin. His house can be visited in the village of Pokrovskoe, near Tyumen. It is believed that “the devil monk” was born sometime between 1864 and 1872. Rasputin was an impoverished, drunken, dirty and foul-mouthed man. Even so, people claim that he had great powers. Many said that he was a healer and also a prophet. During his twenties, Rasputin supposedly became a holy man after a long religious conversation with one of his superiors. He lived off the charity of people who admired his asceticism. It is said that one time Rasputin accurately predicted a three month drought. This Siberian mystic arrived in St Petersburg in 1911 and within a few years had become one of the most influential men in government circles. Tyumen is a city for walking, a city of contrasts. There are two main streets in the centre: Republics and Lenin. Amongst wooden houses and old churches you will see the modern glass buildings of the World Trade Centre and the Law Department of Tyumen State University as well as Soviet style neighbourhoods with multi-storey apartment buildings. The historic city of Tobolsk, Siberia’s former capital, displays considerable charm to reward a short detour from Tyumen. 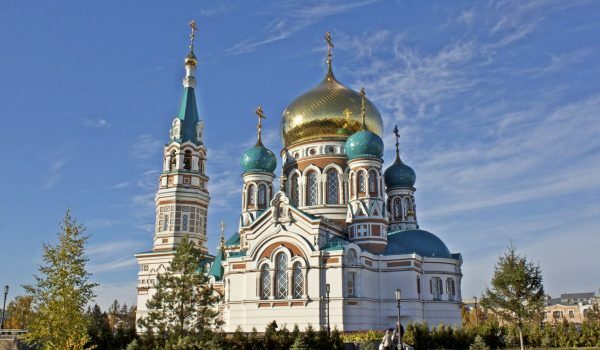 The sights include the white-walled 18th-century Kremlin, incorporating the 17th century St Sofia Cathedral, and a weatherbeaten old town described by some as ‘wonderfully dilapidated’. The winters are cold in Tyumen and outlying regions. However, they have one attraction that helps to cope with the winter, being open air hot springs. Thousands of people gather there, both locals and visitors from as far as Yekaterinburg and Moscow. this is truly a way to experience the contrast of the cold Siberian winter (-20℃ plus or minus) with the hot spring water (55℃). It can be fun to change to your swimwear in the car and then dash to the water (100 m) from the parking area. Just taking a few steps out of the water means the water residue on your body turns into solid ice instantly. Good therapeutic skin pore treatment, we are told.